Search the top Alaska RN to BSN Programs. Our comprehensive guide includes detailed information on becoming a Registered Nurse and degree requirements and details on Alaska RN to BSN Programs. Being one of the most unique states within the United States, Alaska is a place all its own. 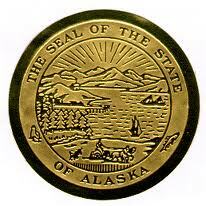 With that uniqueness about the location of their actual state, Alaska can rely on healthcare professionals that earn their education within the state itself. As Alaska doesn’t really have neighboring states, they will likely continue to source those healthcare professionals from within the state. Registered nurses within the state of Alaska have developed an interest in turning their associate’s degrees or certificates into Bachelor of Science degrees in Nursing. The significance of this change is beyond just the title. By increasing the level of degree, individuals are increasing their overall knowledge in the field and opening doors in a number of different positions. You should also understand the credits associated with your particular associate’s or certification and how it will contribute to a bachelor’s degree. Alaska is no different and can see potential differences in requirements from other states. The University of Alaska at Anchorage is the only university in the state of Alaska that offers this degree program. While in this BSN program, students will learn different aspects of nursing including social, business, and communication techniques. The information gained while in this program will provide the most qualified candidates for nursing jobs in Alaska. Alaska’s population tops out at 710,231 residents in recent counts. Although this is smaller than most U.S. states, it still projects a strong need for qualified professionals. The state of Alaska draws in travelers and explorers with different intentions. Dangerous sites and locations can sometimes make nurses in Alaska a high priority. Hospitals need large numbers of nurses on staff at any given time to ensure that patients are seen promptly and efficiently. Nurses are typically the first person that a patient sees when entering into a medical facility, so it is the nurses that paint the face of the medical center itself. Due to its lone location, the importance of professionals within the state itself is high. Hospitals and private practices rely on nurses to provide immediate care to patients prior to seeing a doctor. Nurses help with various types of patient care, ranging from rehabilitation to preventative treatments. Nurses are an important part of the healthcare field. Annually, nurses can earn $85,740 per year on average (source). This average in comparison to most U.S. states is extremely high. According to that same data, Texas sees an average annual salary of $68,590 to put that Alaska median salary into perspective. The potential to earn as a nurse in Alaska is monumental. Those seeking to go forward from an RN to a BSN will find that it is a decision that will promote a happy and providing lifestyle for years to come.